I got a lot of sewing done during this long holiday weekend. I received my additional raindrop fabric in the mail on Friday, so I was able to finish the retro minidress. I cut out an additional front and back to match each of the existing pieces that I already cut out. 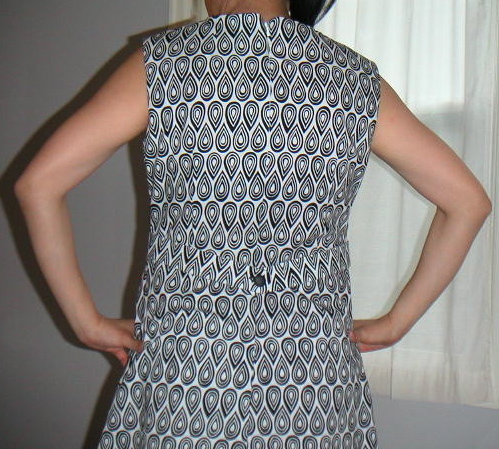 Now, the patterned front of the dress matches up nicely, but once I sewed up the darts in the back, those pieces didn't match up anymore. Oh well. I still like how this dress turned out. I think the bodice front darts and the belt in back add unique touches to the pattern. 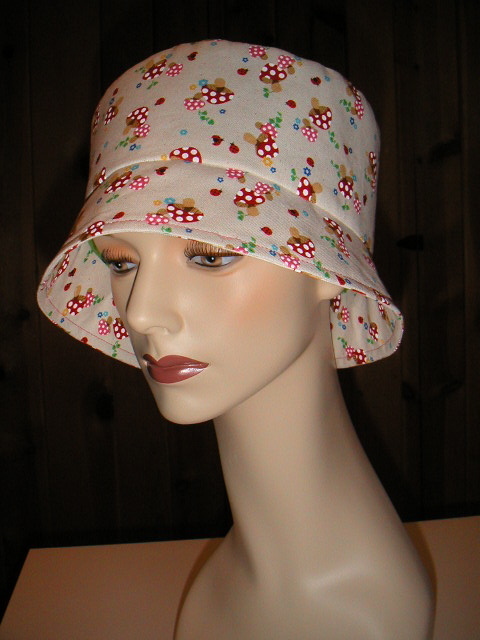 Once the dress was completed, I sewed up a quick and easy bucket hat, McCall's 3202, using the mini mushroom canvas I purchased from Superbuzzy. This lined hat only took a couple of hours and provided instant gratification. Knitting will take a back seat for a little while longer as I have one more sewing project teed up: McCall's jacket pattern 5276. I'm making the version with the gathered sleeves.